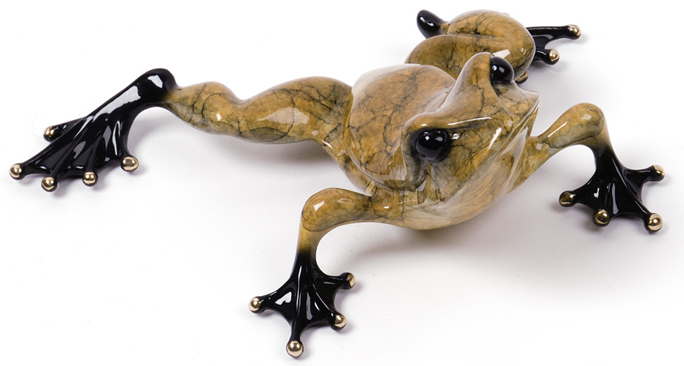 An Artifacts Gallery staff favorite, “Toady” has a beautiful stone-like mottled tan patina. This appealing frog seems to have something serious on his mind as he looks up…what could it be? Dinner? Love? Or weightier matters, perhaps, like the philosophy of frogs? Looking for unique one of a kind display ideas? "Toady" fits on a Medium or Large Glass Lily Pad. See Display Accessories Section.